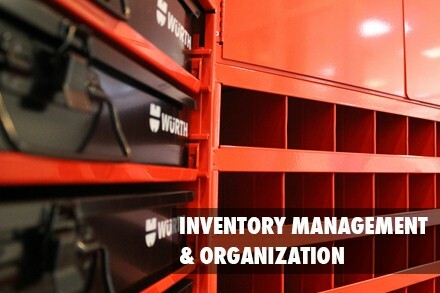 Wurth USA works with you to design a customized inventory management solution that is appropriate for your shop to efficiently organize your clips, fasteners and consumable supplies. Würth Territory Managers provide exceptional VMI service for you, so that you have more time to spend with your customers. Our professional team assesses your individual needs to create the most efficient system necessary to help you reach your business goals. A collaborative and strategic approach ensures that you are always on the cutting edge with body clips and supplies.